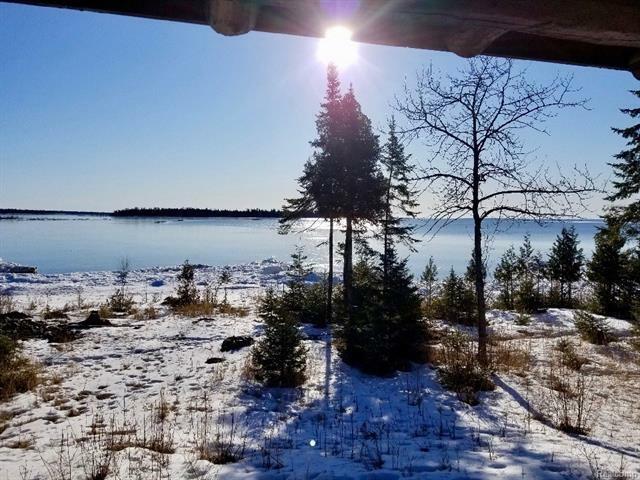 Approximately 370 Beautiful Acres on Drummond Island! This Full Log Cabin with a loft has a covered porch in front and covered deck in back. The setting is perfect to enjoy a Gorgeous View of Lake Huron. A wood fireplace in the living room with stone from floor to ceiling will keep you warm and cozy. Approximately 25x40 Barn to park vehicles, snowmobiles, etc. 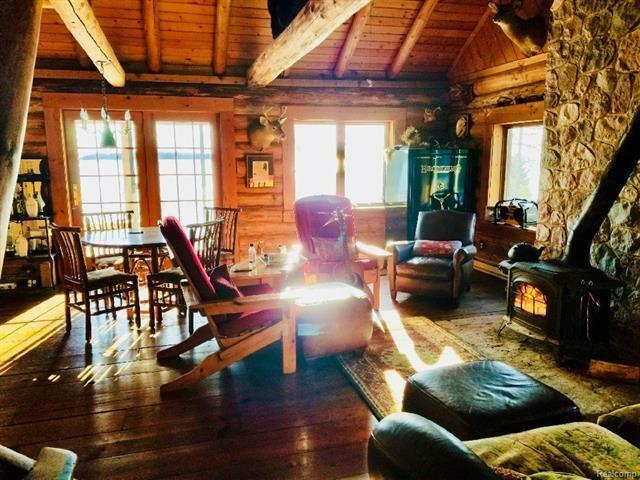 This log cabin is being sold as a package with a cottage and 366.7 acres of vacant land to make a total of approximately 370 acres. 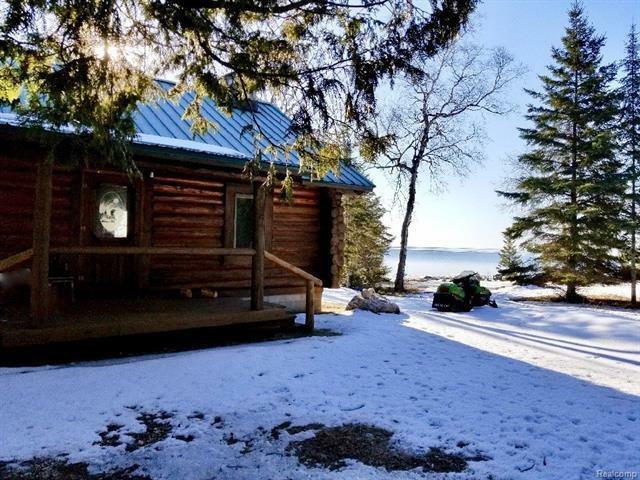 Located in Chippewa County, Drummond Island Township. 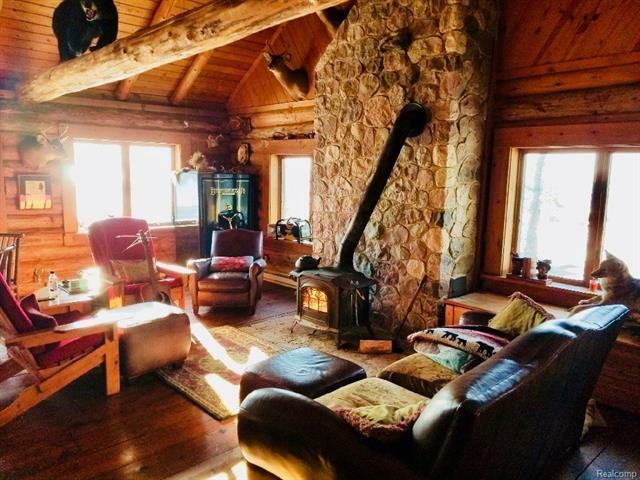 Truly a Deer Hunter and Nature Lover's Dream Property! Watch an AWESOME drone video of the property at https://youtu.be/POcgWpjqYyU.